Aesthetic Center of La Jolla, founded in 2005 by board certified facial plastic surgeon Dr. Roy David, is changing the landscape of medical spa services in San Diego. Aesthetic Center of La Jolla employs highly trained and experienced registered nurse injectors and estheticians who have received advanced national certification training on lasers, injectables, and advanced skin rejuvenation and skin tightening therapies. 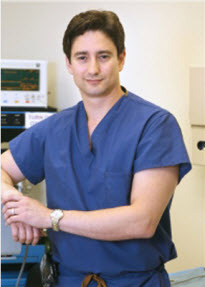 In addition, Dr. David routinely trains and updates his skilled staff, who undergo rigorous internal credentialing. The Aesthetic Center of La Jolla also offers medical spa staples such as laser hair removal, featuring the high-speed Lightsheer Duet®, Intense Pulsed Light (IPL), sclerotherapy (vein removal), advanced facials, microneedling, and chemical peels. The Aesthetic Center of La Jolla is conveniently located in La Jolla-UTC at the intersection of La Jolla Village Drive and Villa La Jolla.